Meredith Green leads the ceremony to induct three new Rotarians: Ahmis Loving, Terry Ward, and Erin Sorensen. 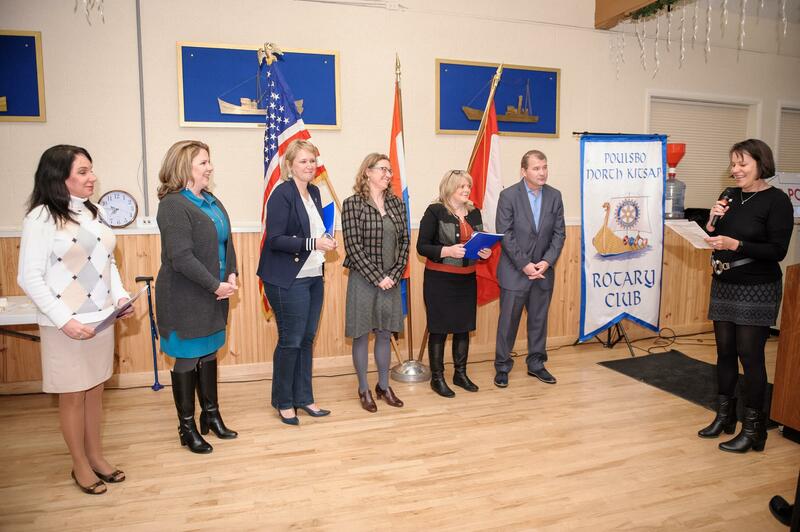 Welcome to Poulsbo Rotary! Thank you, sponsors - Donna Etchey, Marlene Mitchell, and Brenda Wall!